Turn mini cakes into a masterpiece with this stress free kit. Each child gets everything they need to decorate their very own cake. 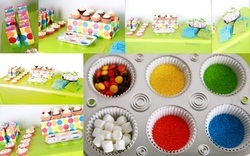 This kit includes a 4" cake or cupcakes for each guest, a variety of colored frostings, sprinkles, marshmallows, crushed cookies, candies, cake topper/decoration (optional). No to kits are alike so ask us to custom make yours. Prices are based on kit size and options. 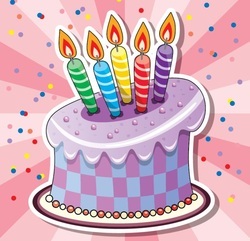 FREE CAKE... Get a free 4" cake with a purchase of any large cake order for children up to the age of five years old on their order. Ever been to a party where the birthday child plays with the party cake or spits on it while trying to blow out the candles. This simple pleasure can wreak an otherwise perfect party. That's why we at A Passion for Cakes offer a free cake to our youngest customers. Forget the old saying "Don't play with your food!" by having there own cake everyone can enjoy the cake and the birthday child can eat and explore as much as they like. Please ask for more details about this offers limitations and or restrictions. Profits from all cakes and cupcakes sold right now will go to charity! All profits will go to the Relay for Life to support the American Cancer Society. 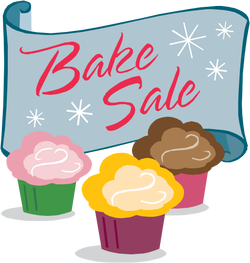 Zooey cakes and it's bakers ask you to help us spread hope for a cure through your orders and will also take donations for the relay for life. All profits and donations collected will be turned in no later than the event day.